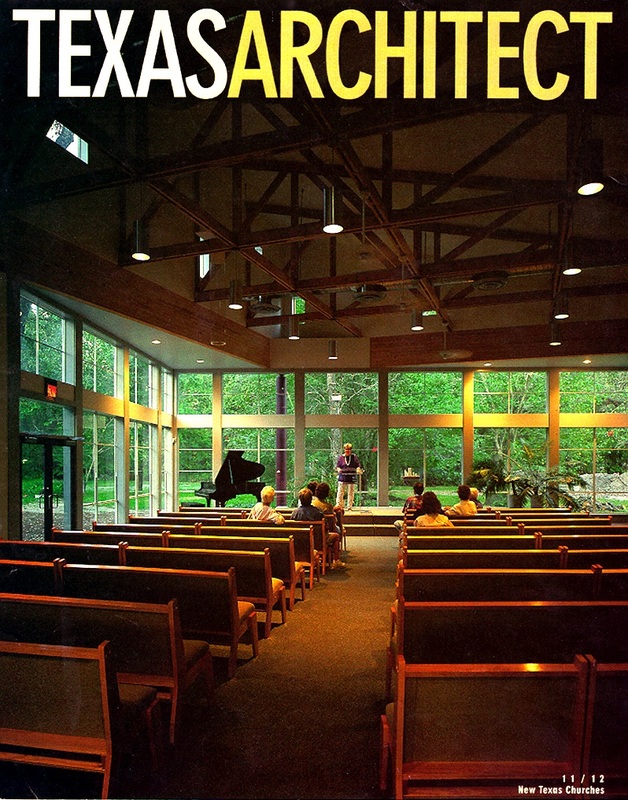 A new 7000 SF facility for a small Unitarian Universalist Fellowship occupies a heavily wooded two-acre corner site. 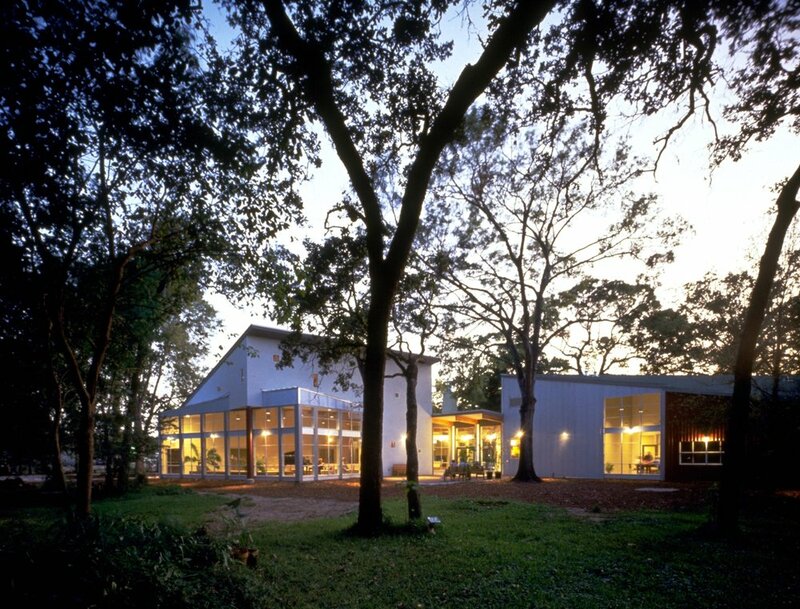 The white stucco sanctuary and barn-like metal education wing are joined by a transparent gathering space, all focused on a mature stand of post oaks and circle of pines. 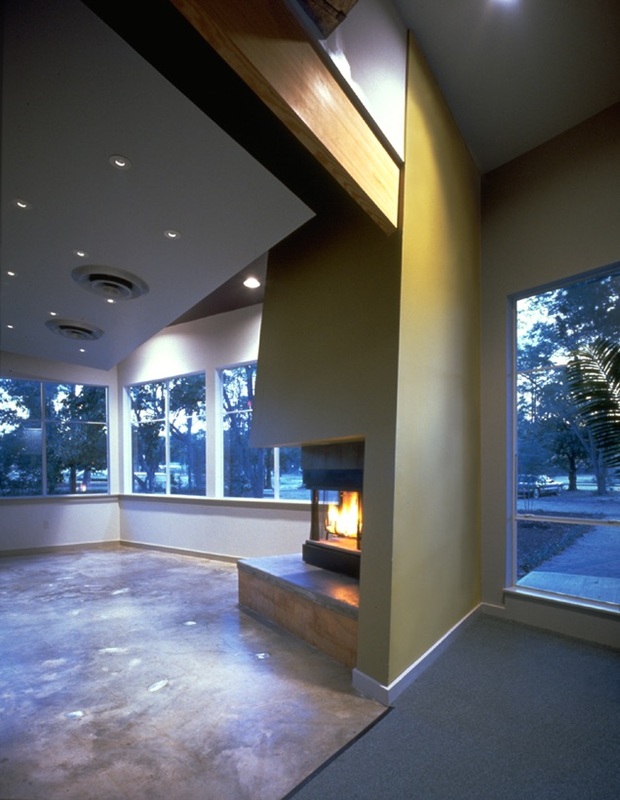 Exposed structural elements and an abundance of glass reflect the Fellowship's philosophy of respect for the natural world.